A rescued baby dolphin is placed in a pool in Punta Colorada, Uruguay. 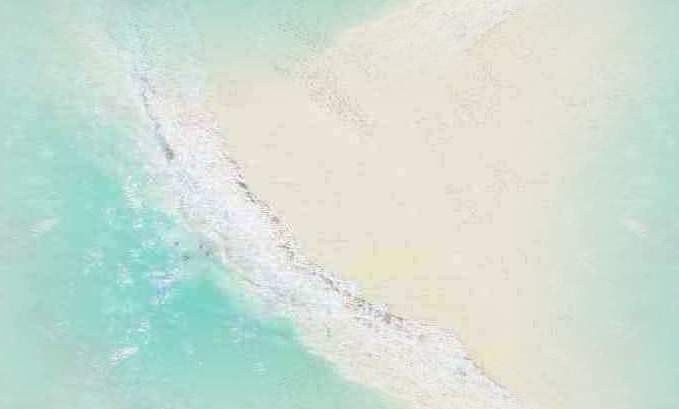 Walkers on a nearby beach discovered the injured dolphin. Richard Tesore, head ofthe NGO Rescate Fauna Marina, has taken charge of caring for the tiny creature. 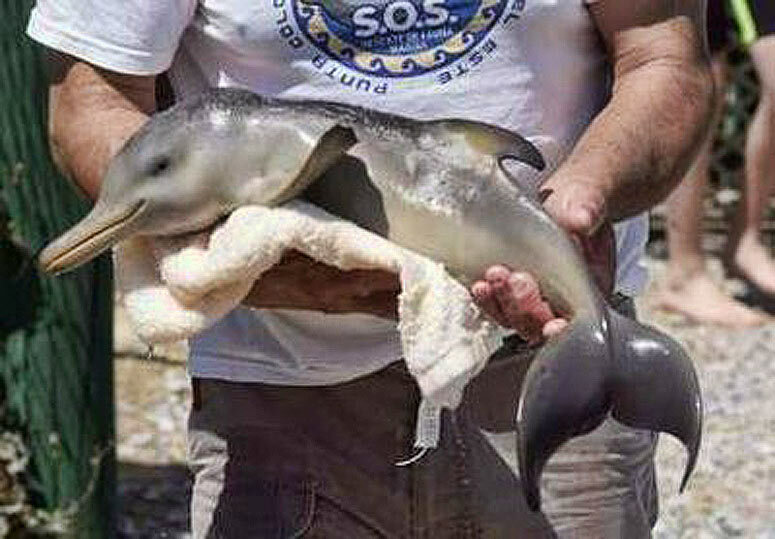 Nipper the Tiny Flipper is a 10-day-old dolphin that was rescued on a beach near Uruguayan capitol, Montevideo. The adorable wee fellow was discovered by walkers on the beach, and there appeared to be no sign of its mother. The baby mammal was suffering from injuries believed to be caused by a fishing net. How terrible! We all know how beneficial it is to our health that we consume fish, therefore the use of fishing nets are allowed. The use of fishing nets is a controversial debate among many people. Oftentimes, it is believed that some fishermen use fishing nets improperly. When fish are obtained with a net, there are often a large amount of young fish and eggs that become trapped. Young fish can often lead to food poisoning and the killing of eggs can lead to a poor ecosystem. Then there are incidents such as Nipper the Tiny Flipper, who was injured in a fishing net. Head of the NGO Rescate Fauna Marina Richard Tesore, has been taking care of the beautiful baby dolphin. Nipper is being cared for at a center in Piriapolis. The survival rate for dolphins within their first year of life in the wild is 20 percent, and there is an even higher death toll of captive born dolphins. Let’s hope that Nipper the Tiny Flipper will pull through this ordeal and grow up to give us one of its own precious little darlings.